A day-trip from Tokyo to Mount Fuji and the lesser known Hakone five lakes area is among Japan’s traveler’s favorites, so here is our guide on how to visit make this famous landmark with the Japan Rail Pass. Whereas you prefer climbing or a more relaxed pace, we have the perfect guide for you make the most out of this trip! Let’s start with some interesting fact about Fuji-san: Mt Fuji is not only the highest mountain (3.776 meters), Japan’s most climbed and depicted one, but it is also the pure representation of good luck and good fortune for all Japanese citizens. This is a curious fact, considering the mountain is actually a giant volcano (with low risk of eruption). Note: The Hyperdia screenshot shows you a detailed description of a journey example with pre-selected departure time and date. Note that the train trip will be free of charge for all Japan Rail Pass holders. The displayed price is only valid for passengers with no JR pass. Please note that Fujikyu is not part of the Japan Rail Group, which means the Japan Rail Pass does not cover buses ran by this company, and no seat reservations are available. As we have already mentioned, Mount Fuji forms part of the Fuji-Hakone-Izu National Park. Hakone is one of the most popular destinations for tourists, located less than 100 km. from the capital city of Japan. Famous for its scenic area, Ashi lake, hot springs and breathtaking views of Mount Fuji, Hakone is more than worth the visit. Please check our new Hakone guide for more information on visiting the area. Also, please remember that the best time to visit any of those places is the hiking (summer) season, from July to mid-September. These are the months that promise sunshine, good weather, and fantastic views. Unfortunately, travelers who decide to make this trip in October or March may not be able to enjoy the area scenery fully due to heavy rains or clouded mountain peaks. Get off at Hakone-Itabashi. This is your final destination. Also very popular among the locals are Fujigoko or Fuji’s Five Lakes, which are located in the northern area of Mount Fuji. Kawaguchiko (or lake Kawaguchi), Saiko, Yamanakako, Shojiko, and Motosuko are the Fuji Five Lakes, each of them offering unforgettable views and outdoor activities. Some of them include fishing, hiking, camping and anything that can come to your mind – nature has no limits. Most hotels in the area are located close to the five lakes too. Take the JR Chuo Line from Shinjuku Station (Tokyo) to Otsuki Station (Azusa trains, covered by the JR Pass). Once at Otsuki, take Fujikyu Railway to Kawaguchiko Station (not covered by the JR Pass). Get off at Hakone-Itabashi Station. This is your final destination and the gateway for the Mount Fuji area. Visit Mt. 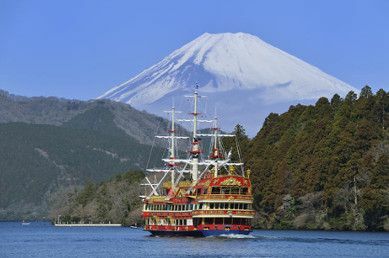 Fuji, cruise Lake Ashi and ride the Mt. Komagatake Ropeway on this popular day trip from Tokyo. Enjoy sweeping views of celebrated Hakone National Park, and learn about the region with your guide at Mt. Fuji’s 5th Station. Full day trip from Tokyo to Mt. Fuji with a guide. Choose on either spending the day around the popular lake Kawaguchi and five lakes of Mt Fuji, or Hakone, a well-known place for its hot spring resort and Hakone Shrine with its torii gate standing on the Lake Ashi where cruising is also recommended. Escape Tokyo for a day and admire some of Japan’s most scenic sights on this 10-hour guided tour. You’ll stroll at Odawara Castle grounds, the longest pedestrian bridge Mishima Skywalk, and also will take a relaxing Lake Ashi cruise on a replica pirate ship in Hakone. HI, we are traveling from Tokyo to Kyoto and will use the JR pass. We would love to stop in Hakone on our way, and make a 1/2 day visit to see Mt. Fuji close up. I have been able to find directions on how to get from Tokyo to Hakone, but have NOT found how to get from Hakone to Kyoto, and if there are times I need to be aware of before there no more trains to catch late in the day. Thanks! Hi Ana! 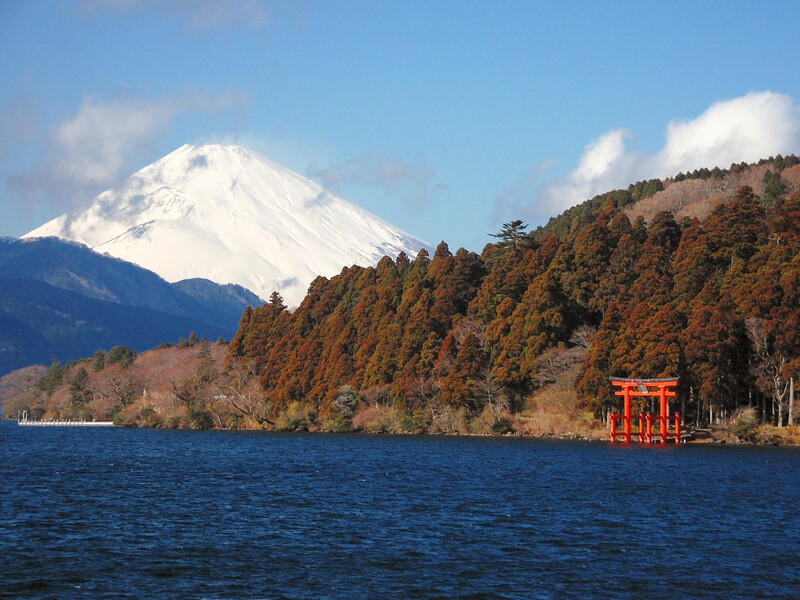 We recommend you to read our Hakone travel guide: Access and what to do article. There you will find all the details on how to travel from Hakone to Kyoto 😉 Happy travels! Not sure if this is JR rail pass? Yes, you can go from Kyoto Station to Hakata Station in Fukuoka using your 7-day JR Pass. Please check our Fukuoka guide for further information on the itinerary. 1. Roundtrip ticket train from Tokyo to Mt Fuji and which train station should we get off when reach MtFuji. 2. Do we need any transportation in order to reach 5th station 5? 3. Roundtrip ticket train from Tokyo to Kyoto? Hi Christie! All the details regarding reaching Mount Fuji are detailed in this article you are commenting, we encourage you to carefully read it. Getting from Tokyo to Kyoto with the Japan Rail Pass is easy. You should take the Shinkansen Hikari bullet train from either Tokyo Station or Shinagawa Station in central Tokyo, and arrive at Kyoto Station. Me and my wife is going to japan on October 9 for 14 days and I am plan to get a 14 days JR pass, my 1st trip to Japan,, can’t wait for it..
Kind of very tight on the schedule , Is the 14 day JR pass worth on our trip? Thanks a lot and more power! Hi Abraham! Since you are travelling around the whole country and given your itinerary, the 14-day Japan Rail Pass pays off. Enjoy your stay! I’ll be visiting Tokyo and Osaka by mid-November 2018 and would like to pay a visit to Mt.Fuji. Hi Jovi Ong! Getting from Tokyo to Kyoto with the Japan Rail Pass is easy. You should take the Shinkansen Hikari train from either Tokyo Station or Shinagawa Station in central Tokyo, and arrive at Kyoto Station. This line is fully included in your Japan Rail Pass. 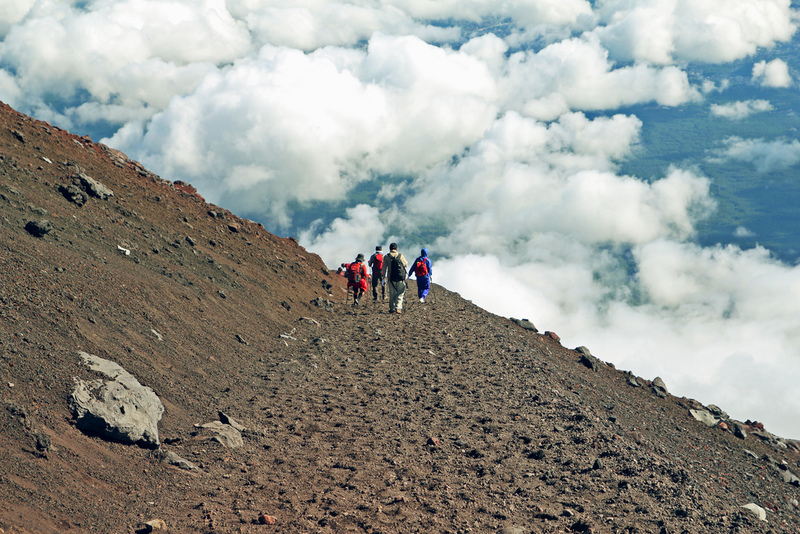 Regarding how to get to Mount Fuji, the itinerary is partially covered by the pass. This article you are commenting has all the details 😉 please check carefully. We are traveling 12 days in Japan, from Narita airport to Tokyo to Nagana to Kyoto and Mount Koyasan to Osaka to Hiroshima and Miyajima then fly to Okinawa and then go to Tokyo and Mount Fuji. Do you suggest Japan Rail Pass, or JR East or JR West 4 day or 7 day pass? Thank you for any help. We leave July 23. We want to also go to Universal in Tokyo. Hi Cindy! The nation-wide Japan Rail Pass is the only pass that will allow you travel along the whole country. Should you want a pass to travel to all mentioned locations it would be adviceable to go for the Japan Rail Pass. 1. I would love to visit Mount Fuji (but not climbing, only to view, I believe can be done so at either the Lakes or Hakone (? )), shall I go to Mount Fuji from Hakata (during my Fukuoka stay) or Tokyo (during my Tokyo stay) or Osaka (during my Osaka stay)? 2. Is there a night train from “Hakata to Osaka” and “Osaka to Tokyo”? If not, what is the best way/timing to travel in these routes pls? 3. Is it better to do the Kimono/traditional photoshoots in Tokyo Asakusa or Osaka? 4. Heard that the “TOEI Animation Gallery” has closed down already, is there any place that we can see most animation-related stuff esp. Naruto and Dragonball pls? 5. Can we visit the Ghibli Museum & J-World Tokyo on the same day pls? I would really appreciate any advise/suggestion/recommendation you can provide me with esp. utilising the 7-day JR pass. Thanks again and awaiting your soonest reply. This would be possible if we could leave our baggages at coin lockers. Are there any coin lockers at Numazu Station? Thank you very much!!! Hi we are planning on a trip from Tokyo to Mt Fuji for the night and then to Kyoto. We have the 7 day pass, how do we go about doing that? Hi Bronislava! 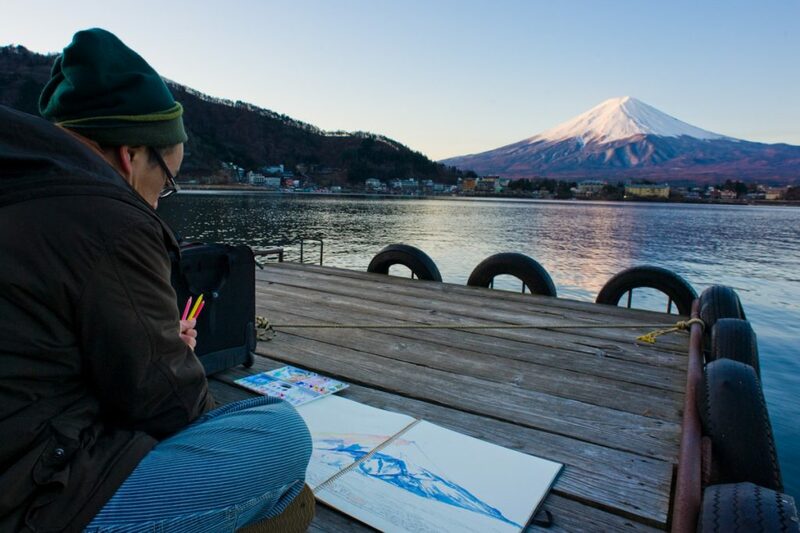 In this article you can read all about travelling between Tokyo and the Mount Fuji. Should you want to move afterwards to Kyoto, as specified also in this article, you can do so in the Tokaido Shinkansen. I plan to visit Mt Fuji , the five Lakes on 17 June 2018 for a day trip. Then,how do i go to Kyoto after that ? Your kind advice is much appreciated. Hi Carol! Should you want to move afterwards to Kyoto, as specified also in this article, you can do so in the Tokaido Shinkansen. It is also included in your Japan Rail Pass. We want to stop by mount Fuji on the way to Kyoto. We are wondering if there is any large size coin locker to deposit our luggage at the Gotemba or Kozu station? Any other thought about how to handle the luggage would also be appreciated. Is the JR rail the only way to get to mount fuji? I am considering to get the metro ticket for my stay in tokyo, but i am not sure if it is sufficient or not. Would love to hear from advise on it! Hi Joyce! Please note Mount Fuji and its area are not part of Tokyo metro. Should you want to reach Mount Fuji you will have to consider purchasing other types of ticket. Hi JRPass Team. We are arriving Tokyo, Narita airport on May 28 late afternoon. for 10 days. Of course we wil buy JR Pass for 7 days. On our arrival to Narita to our accommodation to Urayasu-shi, Chiba-ken, Todaijima we do not want to use yet our JR Pass instead we will buy one off ticket to get into our accommodation. 10th day – 7th day of JR Pass from Urayusu-shi to Narita airport for departure. Lastly when is the best time to buy JR Pass online, our departure is May 28, 2018. How long does it take delivery from mail. Thank you and looking forward to have this once in a lifetime experience in Japan. 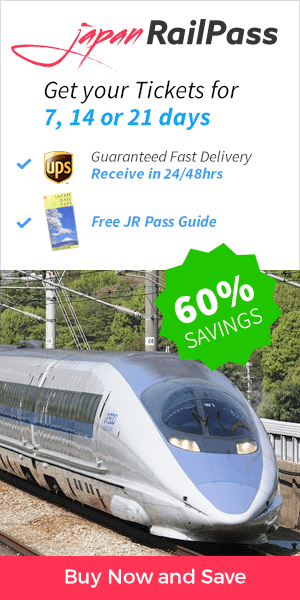 If you get your Japan Rail Pass from http://www.jrailpass.com the standard delivery time varies between 24 and 48 hours. However, the exact delivery time will depend on the customer’s location, time of order, public holidays as well as customs problems and/or ground/air transportation disruption. The estimated maximum delivery time is 72 hours. 1- Can I use the JRPass immediately when i arrive and still can be use when we going back to Haneda on the 21 April at 7pm. The Japan Rail Pass validity period is calculated in days, not in hours. Therefore, if you have purchased a 8-day pass and your activation date (when you first use the pass) is the 14th of April, the exact expiration time will be midnight on April 20. May 12: Arrival Narita airport (1800). May 19: First train to Tokyo for departure at Narita. PS: I want to try the night train (Sunrise Seto) Osaka-Tokyo on May 18.. Is it possible? They said hard to reserve and must be in Japan in time or reservation..
Will a 7 day pass worth it for my Itinerary? Will it be advisable to get Pasmo card for some trains or buses that does not include the JR Pass? – The Narita Express is the most convenient Tokyo city transfer from and to Narita International Airport. – When in Tokyo, the pass affords access to 5 different local lines: the Yamanote Line, the Keihin-Tohoku Line, the Rapid Chuo Line, the local Chuo-Sobu line and other metropolitan lines that circulate on the outskirts of the city such as the JR Keiyo, Musashi, Nambu and Yokohama lines. Please note that Shibuya, Harajuku and Shinjuku can be accessed with the Yamanote line. – Hakone and Mount Fuji area can also be accessed with the pass, however some small parts may require to buy separate tickets. – From Tokyo, your Japan Rail Pass gives you direct access to all that Yokohama has to offer. After you will also be able to easily reach Osaka at not additional cost in the JR Tokaido Shinkansen line (Kodama train). – While in Osaka, you will be able to make full use of the Osaka Loop Line. This line will also take you straight to Universal Studios Japan. – Travelling between Kyoto and Osaka is now easier than ever. Just take the Hikari train on the Tokaido Shinkansen line. You will get between Kyoto Station and Shin-Osaka Station. – In order to get from Kyoto to Nara, begin at Kyoto Station. Take the Miyakoji Rapid Train, on the JR Nara line to JR Nara Station. To get then to Osaka jusr raje the Yamatoji Rapid Train to Osaka Station. I will arrive Toyko on 14/11/18 and depart from Osaka on 23/11/18 . I plan to visit as many places as possible and suggest whether a 7 days JR pass is advisable. Plan to stay in Tokyo, Kyoto, Nara ? Osaka or do you suggest that I stay only in Tokyo and balance all days in Osaka but travel out everyday to other places. If I have finished my JR pass on 22nd, how to I travel from Osaka to the airport. Hi SC Chiew! We strongly recommend you to check our 10 days in Japan: Travel itinerary for our itinerary and recommendations. we would like suggestions on how to travel from TOKYO to Mount FUJI in December 23, 2018. Five Lakes would be ok. will Mt. Fuji be visible in December 23 or so? Our best suggestions are detailed on this article you are commenting 😉 We recommend you to carefully read it. If travelling in Dececember you may not be able to enjoy the area scenery fully due to heavy rains or clouded mountain peaks – but of course it will always depend on the concrete day. We hope you enjoy yout stay! Hi! Planning to travel this coming April. I have 4 kids in tow so this trip will be quite challenging. My first concern is we want to see Cherry Blossom and first stop is Tokyo or Osaka. We also plan to visit Disneyland. Any suggestion if we are planning to stay for 7 days or better if we book 14 days? You have any suggestion re itinerary? And what route should we do first if we want to see cherry blossom. Thank you! Sure, our blog is full of itineraries and travel tips. If you want to enjoy cherry blossom you cannot miss our 2018 cherry blossom forecast for Japan article. There you will be able to find which areas are expected to be in full bloom at the date of your trip and then you can just adapt to it. For example, the best times to visit (full bloom) are expected to be around March 24 in Tokyo, and March 28-29 in Hiroshima, Kyoto and Osaka. I’m going to japan end of this month for 10 days, my 1st trip to Japan,, can’t wait for it..
Kind of very tight on the schedule , and we only purchase 7 days JR Pass, any suggestion ? And if we would like to do day trip to Mt.Fuji, is it possible to visit Gotemba and Hakone and back to Tokyo before 7 pm? and how to go there from Ueno ? Gotemba first or Hakone first? Do I need to reserve the seat? – To travel from the Kansai Airport to the city of Osaka, board the Limited Express Haruka at the Kansai Airport Station. Take the Haruka to Shin-Osaka Station. At Shin-Osaka, transfer to a local train to Osaka Station. – While in Osaka, you can make full use of the Osaka Loop Line. – To get to Universal Studios, from Osaka Station take the Osaka loop line to Universal City Station. – To get from Osaka to Kyoto you can take the Hikari train on the Tokaido line. The same train will take you straight to Tokyo. – While in Tokyo, the JR Pass affords access to five local railway lines: the Yamanote Line, the Keihin-Tohoku Line, the Rapid Chuo Line, the local Chuo-Sobu line and other metropolitan lines that circulate on the outskirts of the city such as the JR Keiyo, Musashi, Nambu and Yokohama lines. – DisneySea is a twenty-minute walk from Maihama Station, or you can take the Disney Resort Monorail from Maihama to Tokyo Disney Sea Station. – Mount Fuji trip is already described in this article. – From central Tokyo to Narita Airport you can travel in the Narita Express, fully included in your pass. Hi , How can I go to My-t Fuji using JR rail pass. Can I go to 5th station. and come bak. I’m travelling to Japan on 28/04/2018. Touch down in Osaka then will be going to Kyoto for temples visit on 01/05/2018. Next will be Mount Fuji and Tokyo city. Could you please recommend on how can I travel from Kyoto to Mount Fuji? Or can you please suggest some planning to me? As I check online, I find out that all they way from Kyoto to Mount Fuji takes more than 5 hours by train. But I’m not sure with all the trains. Appreciate for your help. Reaching the Mount Fuji is easiest from Tokyo since it’s the closer than Kyoto. Should you still want to go to Mount Fuji from Kyoto, you may take the JR Tokaido Shinkansen to Mishima (included in th JR Pass), then Fujikyu Bus to Kawaguchiko (not included in the JR Pass). This is the fastest method. I will visit Japan from Osaka (arriving May 01, 2018 – 8AM @Kansai) and then back from Haneda (May 14 – 11.45AM). I will stay in Osaka, and going back and forth the Kansai Prefecture – Osaka, Kyoto, Nara, Kobe, then go to Tokyo, then Fuji, then back to Tokyo for shopping. I also would like to visit Gotemba Premium Outlet for my last shopping. Any idea on how I maximized by 7 day JR Pass during this visit and any good place that I might be missing. I’m more of a cultural person, but also like to mix with modern entertainment such as Universal Studio, Osaka Aquarium, Museum of Art etc. Since you are staying around 14 days in Japan we strongly recommend you to check our Japan in 14 days: Travel itinerary for our best recommendations on how to seize this amount of days. For further ideas we recommend you to also check our articles The 10 Best Theme and Amusement Parks in Japan and How to use Onsen: the best Japanese hot springs for the best onsens in the country. We hope you enjoy your stay in the country! I plan to be in japan from May 13th to May 29th – 17 full days. I’d like to see Tokyo, Kyoto, Nara, Nikko, Kanazawa, Osaka, Hokkaido, Hiroshima. There is so much information online and I’m not sure how to plan the route of the trip so as to save travelling time. Off course, I’ll be buying the JRP however what route should we take? What is the order of the cities we should take? Im most concerned about Hokkaido. How do I get there and which place is the most convenient to stay between Matsumae and Sopporo? Would this trip be covered by the JRP? I’m aware that JRP can be used for commuting outside of Tokyo however what can I use to travel within Tokyo? Do i need to purcvhase an additional pass for within Tokyo? We recommend you to check our Japan in 21 days: The ultimate travel itinerary article. It features our best recommendations to enjoy to the fullest a stay of 3 weeks in Japan and includes almost all of your desired visits. From our point of view, the best itinerary in your case should be as follows: Tokyo, Nikko, Kanazawa, Kyoto, Osaka, Nara, Hiroshima. You can reach Hokkaido from any of the main cities, being Tokyo the closest one. However the trip from Tokyo to Sapporo would take you 8 hours (and 11 from Kyoto) so we recommend to plan this part carefully. The trip is fully covered by the Japan Rail Pass as specified in our redicated article. The JR Pass affords access to five different Tokyo railway lines: the Yamanote Line, the Keihin-Tohoku Line, the Rapid Chuo Line, the local Chuo-Sobu line and other metropolitan lines that circulate on the outskirts of the city such as the JR Keiyo, Musashi, Nambu and Yokohama lines. Should you need to take any other line you would need to chose any of the prepaid ic cards available. Just been to Japan for 10 fantastic days. We bought 7 day JR Pass. First 3 spent in Tokyo bought tickets as required (we were not sure how much we would be able to cover per day). Activated JRP on 4th day to get to our next base, Osaka. Stayed there for 6 days in a hotel inside the station and travelled to Kyoto, Hiroshima, Mijeyama, Nara, Namba, one day in Osaka, all covered by JRP, while the luggage stayed in our room. Some stations are enormous so can take 10-12 minutes walking just changing lines. Last day returned to Tokyo because of better weather, made use of JRP on Yamanote line (Loop Line) which takes you to most important sights. Hope this helps. We are planning a day trip (27 March 218) from Tokyo (Shinjuku) to Lake Kawaguchiko to Gotemba and back to tokyo. To travel from Shinjuku (Tokyo) to Kawaguchiko you need to take the JR Chuo Line from Shinjuku Station to Otsuki Station (covered by your Japan Rail Pass). Once at Otsuki, take Fujikyu Railway to Kawaguchiko Station (not covered by your Japan Rail Pass). To get to Gotemba, take the JR Tokaido line for Kozu. 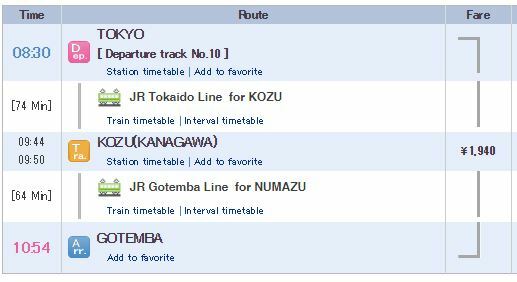 Once at Kozu (Kanagawa), take the JR Gotemba Line for Numazu, and get off at Gotemba. Hakone and the Five Lakes form part of the Fuji Hakone Izu National Park. Should you want to visit the Five lakes, you would need to travel until Kawaguchiko Station as described in this article. Hi, it is advisable to stayover one night in Hakone area or a day trip to Mt Fuji area from Tokyo will be sufficient? That will be a chioce that will depend on you, on the time you have to visit Japan, on the kind of places you like to discover… The beautiful lakes, mountains, hot-spring resorts, historical sites and incredible views of Mount Fuji are just a small number of the attractions Hakone has to offer. Hi I have a JR pass for 7 days and plan to do a DIY trip for Mt. Fuji, Hakone and Gotemba. Please let me know what will be the best trip to do to achieve that in 1 day. If you are planning to reach Mount Fuji it should be easy to combine with Gotemba: if you take the Gotemba trail, as described in this article, you will be able to easily hop off at Gotemba station. It will also be easy to reach Hakone since it is the same area. To get to Hakone you can take the same line that brought you to Mount Fuji (Tokaido Shinkansen) and get off at Odawara station. From there itinerary will be as described in this article. Since they might be many places to fit in a single day trip, we recommend you to use Hyperdia to plan the itinerary so that you make sure you get to see them all. Hi, I will be going to japan for 10 days and plan to get a 7 day JR pass. However, I’m not sure which day would be the best day to activate it considering I’ll be going to Tokyo Disneyland and Osaka’s Universal Studios, which means the JR pass will be sort of “wasted” for 2 full days. Could you kindly advise on which day should I activate the JR pass? Activating on which day would be the most cost effective as I’m not sure on which day the travelling cost is higher. Indeed the Japan Rail Pass would be useful for almost all days. We recommend you to check which is the cost of the individual tickets for each trip and compare it to the cost of the pass. This can be easily done using Hyperdia – the number 1 Japanese online transportation planning tool. – You will be able to reach central Tokyo from Narita Airport in the Narita Express, fully included in the pass. – When in Tokyo, the JR Pass affords access to five different railway lines: the Yamanote line, the Keihin-Tohoku line, the Rapid Chuo line, the local Chuo-Sobu line and other metropolitan lines that circulate on the outskirts of the city such as the JR Keiyo, Musashi, Nambu and Yokohama lines. – You will be able to reach Mount Fuji through the Gotemba trail, as you have already read in this article. – To get to Tokyo Disneyland just use your JR Pass to travel from Tokyo Station to Maihama Station, on the JR Keiyo line. – To go from Tokyo to Osaka, you will need to take either the Hikari bullet train or Kodama from Tokyo or Shinagawa stations in central Tokyo. Both run on the Tokaido Shinkansen line. – When in Osaka, you will be entitled to make full use of the Osaka Loop Line. – You can easily access Universal Studios Japan in Osaka: just start from Osaka Station and take the Osaka loop line to Universal City Station. From Nishikujo Station, you can also take the JR Sakurajima line (also called Yumesaki line). – To travel between Kyoto and Osaka just take the Hikari train on the Tokaido Shinkansen line. You will get between Kyoto Station and Shin-Osaka Station in less than 30 minutes. – To get from Kyoto to Nara, begin at Kyoto Station. Take the Miyakoji Rapid Train, on the JR Nara line to JR Nara Station. – And last but not least, to go to Kansai Airport you will just need to take the Haruka Express from either Kyoto or Osaka. Hi, I’m visiting Tokyo in Dec 2017 and will stay in Tokyo mostly except for a day trip to Mt Fuji. Is getting a JR pass worthwhile? The most economical pass will always depend on your itinerary and that is why we always recommend you to check which is the cost of the individual trips at Hyperdia and compare it to the price of the nation-wide pass. Keep in mind the Japan Rail Pass would not only cover your trip to Mount Fuji but also the airport transfers and some transportation within Tokyo city. We hope your have an amazing trip! My husband and I will go to Japan in March 2018. Plan to stay in Tokyo from march 20 to march 25. Then go to mt. Fuji in march 26 leave in march 27( avoid the crowd in weekend). Then from mt. Fuji to Kyoto from march 27 till April 1. Do we need a two weeks JR pass or just One week pass? Which way, which date should we use the JR pass? And also we will leave Kyoto to Osaka for 3 nights then fly back home. Do we need JR pass from Kyoto to Osaka? Or just use daily pass? If you want to assess which pass is more cost effective for you we recommend you to first draw your whole itinerary. Once you have it, check which the cost of each individual trip is. You can do this very easily using Hyperdia – the number 1 Japanese online transportation planning tool. Knowing this should be very easy to compare how much do individual trips cost to the Japan Rail Pass. Thank you for your warm comment 🙂 To have good views of the astonishing Mount Fuji you might want to visit the five lakes, each of them offering unforgettable views and outdoor activities. You have all the details on how to get there in this article you are reading. I am planning to visit Mt Fuji from Osaka in a 1 day trip with my parents using JR Pass (7 day). Is it possible to cover this in a single day. I would like them to see Mt Fuji view from any location, if possible. Other days, I would like them to visit Hiroshima and Kyoto. To Visit Hiroshima from Osaka city center you need to first take the JR Haruka Express to Shin-Osaka Station, and then transfer to the Sanyo Shinkansen line (westbound, Hikari trains). JR Pass holders can book a seat on all Japan Rail trains free of charge. All seat reservations should be done before boarding the train. As per JR Group’s policy, once you have boarded the train you may not change your seat reservation. To reserve your seat, please go to any Ticket Office (Midori-no-madoguchi), located in all Japanese train stations. Alternatively, you can also book your seet at a the ticket counters located in a Travel Service Center or a Travel Agency ticket sales office. The kind Japanese staff will ask for your Japan Rail Pass, which allows you to book seats for free. State your destination and preferred departure time and let the staff member find the best option for your trip. From February 2017, passengers can make seat reservations online for certain trains at the JR East Train Reservation Service. Eligible trains include the Hokuriku Shinkansen (Tokyo-Kanazawa), shinkansen and major limited express trains in the JR East area north of Tokyo, and shinkansen, limited express and rapid airport trains in the JR Hokkaido area (some exceptions may apply). After arriving in Japan, passengers can collect their seat reservation tickets at their chosen location. These include designated JR East and JR Hokkaido stations and JR travel service centres and information desks, as well as JR West Kanazawa and Toyama stations. i am going to japan with my family (1 toddler and 1 infant) for new year 2018, we are planning to go to osaka from tokyo and afterwards return to tokyo again using JRpass. I have read in a few travel blog that it is easier changing train in shinagawa station, because its easier and less crowded than Tokyo station. is that true ? For traveling with kids, shinagawa station may be a better option. It is easier to change lines, no hassle and less crowds. Still a good location to take the Tokaido Shinkansen to go to Osaka, as you can see in our map. Hope you and your family have a great time in Japan! Planning a short trip December 11-16. Would this be a bad time to see mt. Fuji on a day trip from Tokyo? We will be in shinagawa near the prince hotel. Tourists are advised to schedule their visits to this special mountain during the climbing season which is from July to August. These months are ideal because of the good weather, accommodation options and convenient transportation. However, the snow will be seen covering the whole mountain during the winter, which reveals the most famous views or pictures of Mount Fuji. Apart from the summer months, temperatures at the peak are usually below freezing with the average temperatures falling around 19°F (-7°C ). I will be going to Tokyo in Dec . I shall be staying in Gotanda . I need to go togoshi to have dialysis treatment every Mon, Wed and Fri . Does jr pass cover that area ? Does jr pass cover Yamamoto line? Is it more worthwhile to buy jr pass in my case for 14 days or 7 days? Although, the Yamanote Line is included in the Japan Rail Pass and is the best way to get around Tokyo and discover Tokyo major spots, you won´t be able to use it to go to the hospital. however, you can go walking, wich is 20 minutes or by metro, but you will need to get a single ticket every time you take. Anyway, we hope you enjoy Japan as much as you can! Babies and children under the age of 6 are eligible to travel free of charge on all JR public transport. However, please note that you will not be able to make any seat reservations for your child if they don’t have a valid train ticket (JR Pass). If there are no available seats, children can be held by their parents in the unlikely event of full train cars. We’ll be spending two weeks in Japan, which we are really looking forward too. Thanks for all the information provided on your page, these are really helpful. Purchasing the JR Pass is a no brainer, but we haven’t figured out yet whether a 1 or 2 week pass is the better option. We’ll arrive at Narita Airport and plan spending the first 5 days in Tokyo, including a trip to Nikko on the last. Then we’ll be heading to Kyoto for another 4 days and to Hiroshima and Myajima for 2 days before heading back to Tokyo and finally flying out from Narita again. We plan to validate the 1-week ticket for the second week of the trip where we’ll be using it mainly for the long distance connections between Tokyo-Kyoto-Hiroshima-Tokyo. However, this wouldn’t include the connection to the airport (upon arrival and departure) and the trip to Nikko, as well as some inner-city connections during our stay in Tokyo (such as the Yamanote line). The difference between the 1-week and 2-week JR pass amounts to 17000 Yen per person. Do you think we’ll be spending more than 17000Yen for the back and forth connections to the airport, to Nikko and for some inner-city travel during our stay in Tokyo? The Narita Express ticket price will differ depending on where you head to, its cost will be between 3.000 and 6.000 yen approximately since you will have to pay to reserve a seat a part of paying for the trip (please note you cannot travel without the seat reservation). All costs related to Narita Express are included in the Japan Rail Pass. Travelling to Nikko from Tokyo will take you around 1 hour and 30 or 45 minutes and cost starts from a little more than 2.500 yen, one way. However to this you will have to add the cost of reserving your space, which will either be a seat or a standing space. All of them have an additional price that can go from 2.500 yen onwards. We recommend you to take your time to draw your itinerary and to compare the cost of purchasing individual tickets with Hyperdia’s help to the cost of the Japan Rail Pass itself. It will for sure help you make the best choice. We are a family of five (2x adults and 3x kids under 10) traveling to Tokyo (Narita airport) from 5th April to 12th April 2018 inclusive. 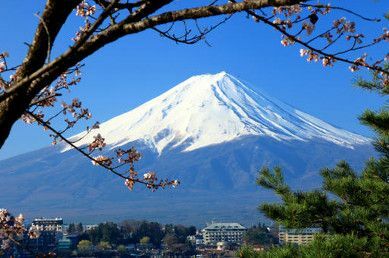 We plan to base in Tokyo (Ueno area) to see the cherry blossoms but also like to fit in a day trip to see Mt Fuji (not hiking, just looking from base or nearby with pagoda/ hot-spring side-trip), and possibly a day trip to Universal Studio or Disneyland. Please can you recommend an itinerary based on above that maximize JR pass? Will a 7 days pass be sufficient? the kids will be 10, 7 and 4 so we should only need 2 children tickets? Sure – we recommend you to check our Japan in 7 days: Travel itinerary as a reference of our recommended itinerary. Since you will spend an additional day you can easily add a visit to Universal Studios Japan (Osaka) or Tokyo Disneyland easily, and both can be reached with the Japan Rail Pass. You will only need 2 children tickets since only 2 of your kids are between 6 and 11 years old. Children under the age of 6 are eligible to travel free of charge on all JR public transport. However, please note that you will not be able to make any seat reservations for your child if they don’t have a valid train ticket (JR Pass). Wanting to get the Shinkansen from Shinjuku to Kawaguchiko. Is this possible or are the trains just regular local trains? It is the only opportunity we will have to experience the Shinkansen and I understand that it may not be the most economical or time-saving option but we really did want to travel on a bullet train. Thank you in advance. To travel from Shinjuku (Tokyo) to Kawaguchiko you need to take the JR Chuo Line from Shinjuku Station to Otsuki Station (covered by your Japan Rail Pass). Once at Otsuki, take Fujikyu Railway to Kawaguchiko Station (not covered by your Japan Rail Pass). We hope you enjoy the bullet train experience! Thanks for the great article and just want to say firstly your customer service seems fantastic! I’ll be travelling to Mount Fuji next month and just wanted to ask what is the easiest route to travel from Mount Fuji onwards to Kyoto using the JR pass? To go to Kyoto from Mount Fuji you can take Fujikyu Bus from Kawaguchiko and then JR Tokaido Shinkansen to Mishima, it is the fastest method. I am wish to come Tokyo see Mt Fuji which train station should we be staying close from Tokyo to mt.fuji? Where to stay will see mt fuji everyday ? Hotel La vista ? Need to buy JR pass ? You might start your trip to Mount Fuji from Tokyo Station – the central as well as a terminal station for all Shinkansen bullet trains. From there take JR Tokaido line for Kozu and, once at Kozu (Kanagawa), take the JR Gotemba Line for Numazu. Then get off at Gotemba Station and you will be there. All the trip is covered by the Japan Rail Pass. at which station of the tokaido line should I get off ?It says Kozu but I cannot find it on the tokaido itinerary. Yes, you should change trains in Kozu Station (Kanagawa prefecture). It’s on the JR Tokaido line from Tokyo to Odawara. For further itinerary details, please check out Hyperdia: https://www.hyperdia.com. If we are visiting Mt Fuji and Lake Ashi from Hakone, which train station should we be staying close by to if we are to head to Kanazawa early morning next day by JR pass? Any ideas of airbnb in the area? The closest JR station in Hakone is Odawara JR station. You can take JR Tokaido Shinkansen line from there to go to Mt Fuji. It takes about an hour to get the Shin-Fuji station which is the closest Shinkansen stop to Mt Fuji. We hope you enjoy your stay in Japan! My plan is to travel from Tokyo to Mt Fuji (day trip), then down to Kyoto. From Kyoto travel day trip to Nara, Kobe and may be Nagoya. Then from Kyoto to Osaka. Just wonder is it worth to get JR pass covering this entire plan. Yes – your Japan Rail Pass will cover the entire plan. – As detailed in this article, the pass will fully cover Gotemba trail all straight to Mount Fuji. – Two options are available to travel from Kyoto to Kobe: you may take the direct Hikari Shinkansen from Kyoto Station to Shin-Kobe Station or you may take a JR Special Rapid Train on the JR Tokaido Line from Kyoto Station to Sannomiya Station. – To go to Nagoya, begin your journey from Kyoto at Kyoto Station. Take the JR Tokaido Shinkansen lines – using your JR Pass for passage on the Hikari or Kodama trains – to Nagoya Station. Additionally your Japan Rail Pass will also cover airport transfers and many other trips across the country. We will be in japan from july 13-19 and we will arrive at narita airport. We are planning a kamogawa (sea world), Tokyo (shibuya,tsukiji), Yokosuka(to visit family), mt. Fuji and back to narita trip. Do you have any suggestions? Sure – and best of all is that all your trips are covered by the Japan Rail Pass! Once you land, you can take the Narita Express, is the most convenient Tokyo city transfer from and to Narita International Airport. To move within Tokyo you can use your Japan Rail Pass to get to most of the corners of the city. Yokosuka is easily accessible from Tokyo and can be reached by using the Japan Rail Pass. Regarding Mount Fuji you have all the details in this very same article. Additionally, you might want to check some interesting day trips from Tokyo to complete this amazing vacation. To go to Sea World in Kamogawa you can take the Limited Express Wakashioo from Tokyo Station, trip should last around 2 hours. Hello. What is the best and economical transportation to take on the following itinerary. From Narita airport going to Kyoto(stay). Visit Osaka and Hiroshima from kyoto. From Kyoto to stop by in Nagoya (probably) then on to stay in My. FUJI. From Mt FUJI to Tokyo. – Transfer from Narita Airport to central Tokyo with the Narita Express. From there you can easily travel to Kyoto. You should take the Shinkansen Hikari train from either Tokyo Station or Shinagawa Station in central Tokyo (both are Narita Express’ stops), and arrive at Kyoto Station. – Numerous trains in and around Kyoto can be accessed using your Japan Rail Pass. Local Kyoto JR lines include the Sagano Line and the Nara Line. – To go to Osaka from Kyoto just take the Hikari train on the Tokaido Shinkansen line. You will get between Kyoto Station and Shin-Osaka Station in less than 30 minutes. – To visit Hiroshima, you can take the Hikari bullet train from Kyoto Station to the Shin-Osaka Station, then transfer to the Sanyo Shinkansen line for the remainder of the trip. – If you want to go to Nagoya from Shin-Osaka Station, take the Hikari or Kodama trains on the Tokaido Line to Nagoya. 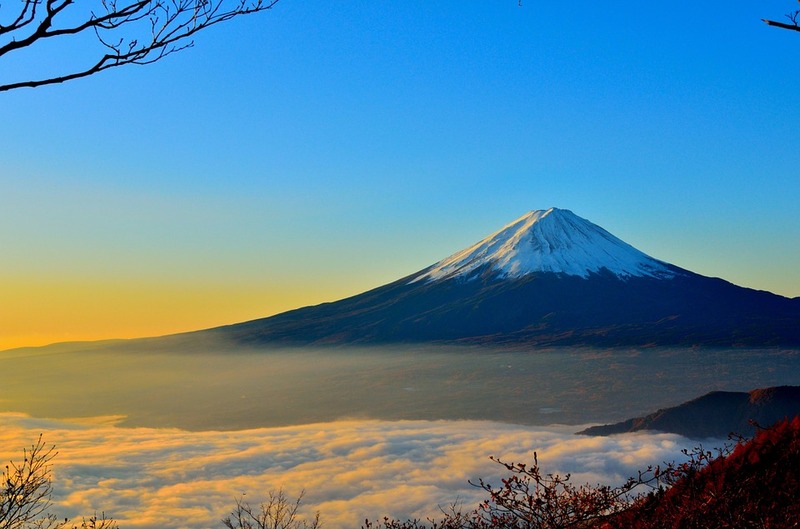 – And last but not least, Mount Fuji can also be easily accessed with your Japan Rail Pass. I am planning to go Takayama and Hakodate using 7 days Rail Pass. Is it advisable to go these 2 places or should I just opted for one place and do some day trip from Tokyo using the JR Pass? It will depend on what you prefer. Takayama, the Japanese Alps, offer a taste of the Japanese culture of yesterday and today, which is very interesting for some travellers. On the other hand Hakodate is a big city (actually the third in size in the Hokkaido area!) and it has plenty of things to offer. Both are easily reachable with your Japan Rail Pass. 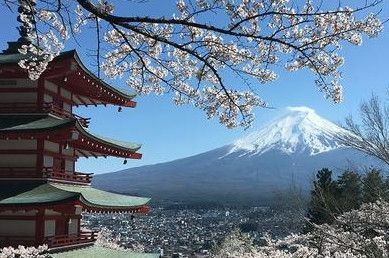 In case you still want to check other day trip from Tokyo ideas you will find many that are also interesting: besides Mount Fuji (detailed in this article), you can also opt to visit Kamakura, Nikko, Yokohama or Hakone for example. Hi I am getting 5 tickets all adult JR pass for 7 days. We will land in Tokyo Haneda and I was thinking of taking taxi because of our luggage . We will stay in Chou, Tokyo from June 11 to 16. Nagoya from June 16 to 19. We arrived Tokyo around 230 pm so can I start my booking for the JR pass on June 12. We will go to and see the palace ,fish market, Odaiba, Tokyo tower. How do we go to Disney sea with JRPass. Does JR train also go to Nagoya. From Chou, Tokyo how long is the ride to Nagoya station. How can we see Mount Fuji on the JR train. Tokyo to Osaka or Tokyo to Nagoya. We are also planning to go to miyajima island for just a day. Is it possible. What time do we have to leave. Please help me and my family have a wonderful time. Thank you. The activation date of your Japan Rail Pass is the date you wish to start using your pass. Any date that is within 30 days of the exchange date can be selected as “Activation”. You can do this from any JR Exchange Office in Japan and of course you can set June 12th as the activation date. To get to DisneySea use your JR Pass to travel from Tokyo Station to Maihama Station, on the JR Keiyo line. Travel time is a twenty-minute walk from Maihama Station, or you can take the Disney Resort Monorail from Maihama to Tokyo Disney Sea Station. Last but not least, to get to Miyajima you will have to take a tram to the Miyajimaguchi ferry port from central Hiroshima, which is fully included in your Japan Rail Pass. The ferry ride takes only about ten minutes. Hi, we are planning to travel from Tokyo to Osaka using the JR pass, what station are we going to get off in Osaka? We are staying in Nannbanaka, Naniwaku, Osaka-shi. And from Namba station what JR line are we going to take to go to Universal Studios. The Shinkansen Hikari train on the Tokaido Shinkansen line leaves approximately every 30min from Tokyo and arrives at Shin-Osaka station after 2:30min. To get to central Osaka station, change to any of the local JR Tokaido-Sanyo trains. As there are direct JR connections between the two stations. To arrive to Universal Studios you need to reach first Osaka. After that, from Osaka Station, take the Osaka loop line to Universal City Station. From Nishikujo Station, you can also take the JR Sakurajima line (also called Yumesaki line). I am planning 10 Days trip in Tokyo and would like to go Hakone & Takayama (2 nights each). You can choose any of them to be visited first since both destinations are easily reached from Tokyo. Hakone is one of the closest and most preferred weekend destinations for citizens of Tokyo. Getting to Hakone from Tokyo will take you about an hour and a half. Take the Tokaido-Sanyo Shinkansen, covered by your Japan Rail Pass, from Tokyo Station straight to Odawara. Once there, take the local Hakonetozan Line, which will take you straight to Hakone Yumoto station, in just 14 minutes (4 stops). Takayama can also be easily reached from Tokyo. Please refer to Takayama travel guide for more details on how to get there and what to visit. I am planning to go Japn for 20 days which hope to cover Tokyo , Osaka, Kyoto, Hakone , Tohuku,hakodate and amori. What is the best initernary to follow? I am arriving in Hanade airport on 14 December and leaving 4 Jan 2018 from Hande airport too. 20 days in Japan sounds like an amazing plan! Here is our detailed 21 days in Japan itinerary, in which you will find a lot of useful information on what to see and how to get there. If you are arriving at Haneda Airport, using your JR Pass, you will be able to take the Tokyo Monorail, which links the airport to Hamamatsucho station in Tokyo, from where you can take the Yamanote circular metro line. Thank you very much for answering all mu inquiries .. i willsure purchase jr pass … more power and have a great day ! Tokyo going to osaka .. will we able to see the mt fuji ? If yes, what side if the bullet train do we need to seat order to see the amazing view? Going to disney in tokyo and USJ in osaka can we still use or jr pass without transfers to other train stations? Thank you very much . On your way from Tokyo to Osaka, make sure to book “D” and “E” right-hand seats, to enjoy the view of Mount Fuji. When going to Universal Studios in Osaka, take the JR Yumesaki Line straight to Universal City Station, using your JR Pass. To reach Tokyo Disneyland, travel from Tokyo Station to Maihama Station, on the JR Keiyo line. The trip will be around 20 minutes. Once at Maihama Station, walk to Disneyland, which is located at a 5-minute walking distance. You will be able to reach both destinations, using just your Japan Rail Pass. hi we are going to japan for the first time..
First thing you need to know is that depending on the airport you land the transportation to the main cities might be included with the pass (either Narita Express to Tokyo if landing in Narita, Tokyo Monorail to Tokyo if landing in Haneda or Haruka Express to Osaka or Kyoto if landing in Kansai). For the days you will be staying in Tokyo you have to be aware that the Japan Rail Pass will not cover all the transportation in the city but you can make use of the Yamanote line, which is probably the most popular and convenient way for getting around Tokyo. For more ideas on how to take the most out of Tokyo please refer to our 3 days in Tokyo itinerary and what to do article. The Japan Rail Pass will include transportation from Tokyo to Osaka since they are connected with by the Tokaido Shinkansen line. You should take either the Hikari bullet train or Kodama from Tokyo or Shinagawa stations in central Tokyo. Also to arrive to Kyoto you would be using the same lines: these 3 cities are connected by it. Regarding Nara, it is just 37 km away from Kyoto. There is a direct Rapid Service on the JR Nara Line that will take you to the city in less than an hour. The JR Nara Line is included in your Japan Rail Pass, which means that all JR pass holders can make this trip for free. Hi what is the easiest way to get to Hakone from Haneda airport with luggage? Is it better to use shinkanzen from Haneda to Hakone/Fuji Five Lakes or from Hakone/Fuji Five Lakes to Tokyo? We want to experience taking the bullet train at least 1 way. When it comes to traveling with luggage, the recommended option would be to take the train at your most convenient time from Tokyo Station. As this is a terminal station, you will have the biggest chance for available luggage storage space. Depending on your departure date and time, you can reserve seats with larger leg or storage space for the Shinkansen train on your way back to Haneda Airport. This way, you will get to experience the Shinkansen train and have no luggage-related worries during your first trip. Have a great experience in Japan! 5. You can reach Narita Aiport from Tokyo, using your Japan Rail Pass. hey what if I wanted to go from Kyoto to Hakone is that possible and what is the best route? Also I have 13 days so wanted to know which cities and how many days to make my base. Tokyo 4 days? Hakone 2 days? Kyoto 6 days? any less or more and any cities to add. Also what day trips to take from Kyoto and also from Tokyo. The dates for my trips 12th to 25 th april. Will I manage to see the cherry blossoms? To go from Kyoto to Hakone you should take the Tokaido Shinkansen from Kyoto Station to Odawara, and then change to Hakone. You can check the full itinerary in Google Maps and Hyperdia. We suggest a minimum of 3 days of stay both in Kyoto and Tokyo. For further information, please check our Japan 14 days itinerary: as well as our cherry blossom forecast and selection of best places to see the cherry blossoms. Have a great time in Japan! You can check in Google Maps and Hyperdia the travel times between each city. Keep in mind that just the round trip cost from Tokyo to Hiroshima is already over 200 USD, so for your itinerary, the Japan Rail Pass would be cheaper than getting individual tickets. How to travel from tokyo to gotemba? Can i use jr pass ride bullet train? As stated in the article, to get from Tokyo to Gotema you should take JR Tokaido line (Kozu direction) from Tokyo Station. Once at Kozu (Kanagawa), you should change to the JR Gotemba Line (Numazu direction). For information about schedules, please check Hyperdia or Google Maps. You can purchase the JR Pass from our homepage: https://www.jrailpass.com. Enjoy your trip! I plan to travel from Osake to Tokyo by Shinkansen train. Pls advise if I can view Mount Fuji from Shinkansen train leaving Osaka heading to Tokyo ? what seat should I reserve ? 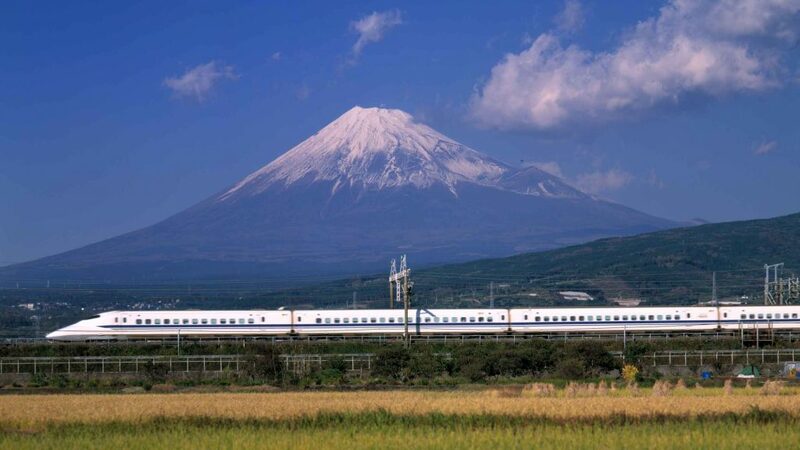 Yes, you can enjoy the great Mount Fuji views from the Shinkansen trains when going to Tokyo. Head to any ticket office and ask to book a left-hand train seat with a mountain view. The Japanese staff at the counter will take care of the rest.